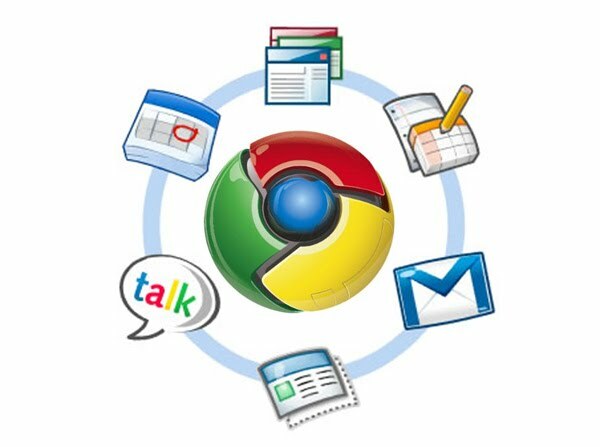 Get out of Pages, Numbers, and Keynote or even Microsoft Office and into Google Drive! Below are the easiest steps to convert. Keep this in mind as you begin your conversions- Flashy documents with lots of added fonts and objects, or complicated spreadsheets with lots of formulas are less likely to convert accurately. The same applies to Keynote Presentations with animations,music, and videos. The conversion tool does much better with simple products. The conversion tool also works better converting Microsoft Office Documents then iWork Documents. To easily convert from iWork to MS Office use the "File---> Export" feature found in iWork applications. Before starting please be sure your upload settings are set to "confirm" on each upload. To do this, Go to your Google Drive/Docs then click the gear in the top right corner. Select "Upload Settings". Make sure the bottom option is checked. Confirm Settings Before Each Upload. There are 2 pretty simple ways to convert from Pages/Numbers/Keynote/MS Office to Google Drive. 1) Login to your google account and browse to your "Drive". 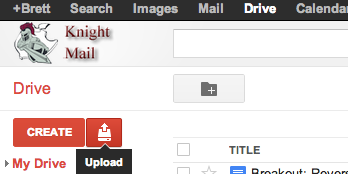 2) Click the "Upload" button in top left corner of screen next to "Create". Select Files or Folder, whichever you prefer to upload. Sometimes it is easier to do 1 file at a time. 3)Browse your local computer for the file or folder you want to upload to google and hit open after selecting. 4) Upload Confirmation Dialog appears. Make sure you check the box that says "Convert Documents, Spreadsheets, Presentations......" (I also always keep the box checked that says confirm settings before each upload). 5) Hit Start upload. You will see a progress bar in the bottom right corner. When the document is complete you will see it appear in your Google Drive list of documents. It will no longer be a .pages document. It will now be a google document. Click it to open it and fix anything that may need to be fixed after the conversion. I recommend this method for documents slightly more complicated that don't convert well. Items with many graphics or text boxes, special fonts, grids, may need to have content copy pasted into a new google doc. 1) Open your Pages/Numbers document. Copy pieces of the document. 2) Create a new Document or Spreadsheet in Google Docs. 3) Title your new Document or Spreadsheet. 4) Begin Pasting in your copied work from the Apple iWork or Microsoft Office document.